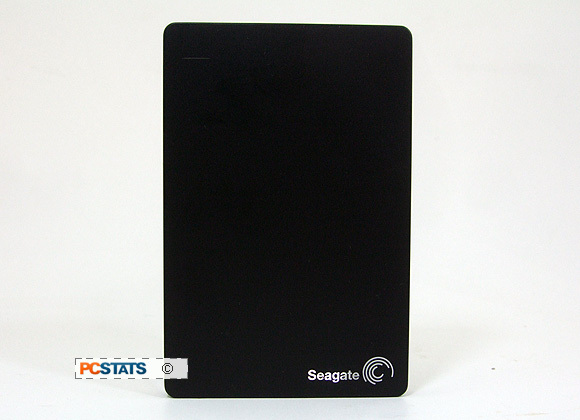 On the top face of Seagate's Backup Plus Slim external hard drive is a small slit at the upper left corner where a white LED status light dimly glows when the drive is powered up and when it's engaged in a data transfer. 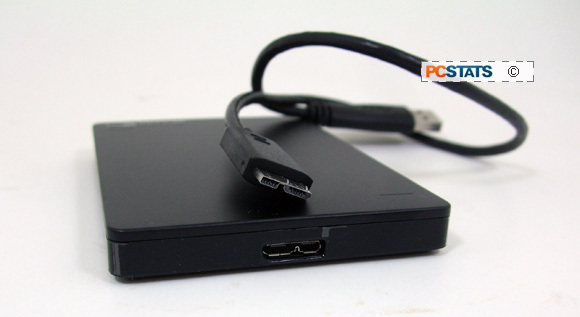 The Backup Plus Slim does not require any external power adaptors, all power is supplied via the USB port. There is absolutely nothing else remarkable about the device on any of the remaining sides. 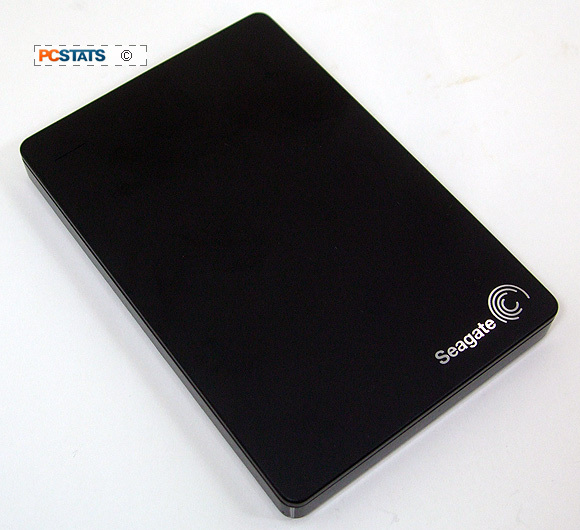 When connected to a USB3.0 port the 2TB Seagate Backup Plus Slim external hard drive can transfer a single 8.5GB test file to the PC at a rate of about 52MB/s. When connected via USB 2.0, transfer rates hover around 21MB/s. To put these transfer speeds into perspective, Patriot's Supersonic 64GB USB 3.0 thumb drive can copy a single 8.5GB file over to a PC at a rate of 53MB/s. USB 3.0 devices are theoretically capable of moving data at a quick 4.8Gbit/s, a 10x boost up from the 480Mbit/s rate of USB 2.0. 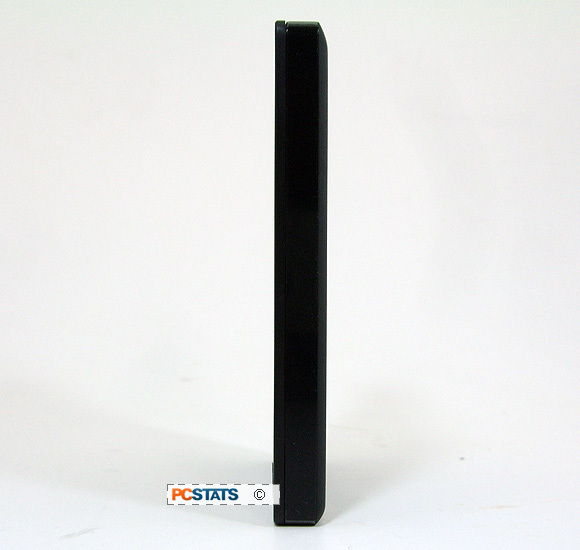 PCSTATS only complaint about Seagate's Backup Plus Slim is the USB 3.0 connector. The USB 3.0 cable connection feels pretty flimsy so you will want to be careful when handling the device so the connecting cable doesn't bend at the connection. 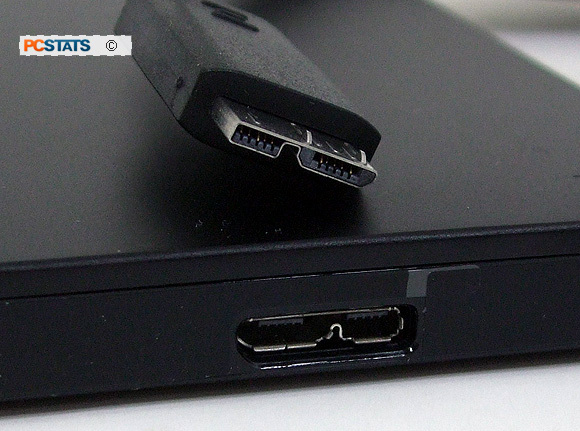 A right-angled USB 3.0 cable connector would have been a better solution than a rigid connector sticking out at right angles. The entire drive case is 12.1mm thick. That's pretty thin! Overall dimensions are 76x113mm. There is nothing on the bottom of the drive case, apart from a sticker with model number and product info. 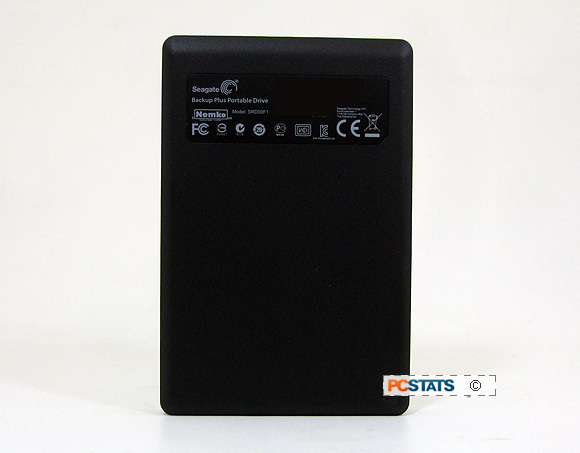 Benchmarks and final thoughts on the Seagate Backup Plus Slim external hard drive are next.